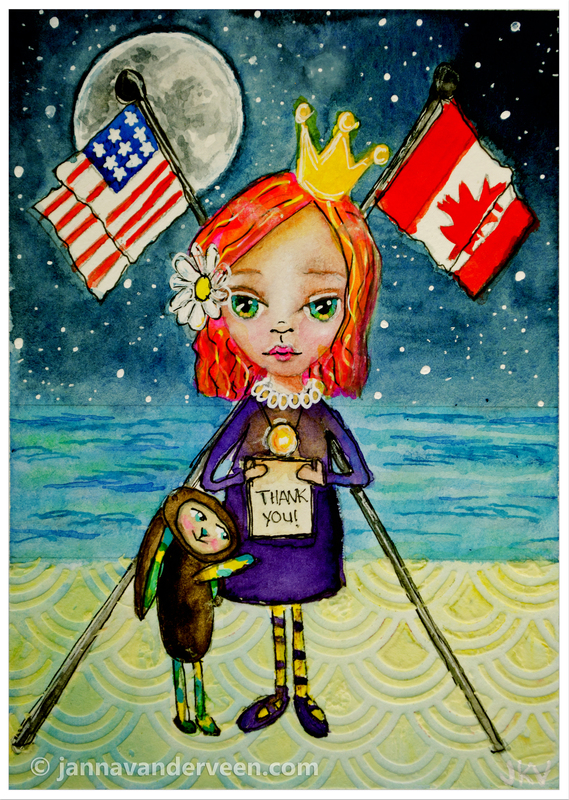 This is the first, in a series of three watercolor thank-you cards, featuring my whimsical princess with her bunny. I love how it turned out. I used a combination of artist grade MaimeriBlu and professional grade Winsor Newton watercolor paints on this 5×7 cards.